The scandal surrounding President Donald Trump's alleged ties to Russia thickened a bit Monday after the Washington Post reported that "notorious mercenary" Erik Prince took part in a clandestine meeting with a confidant of Russian President Vladimir Putin "as part of an apparent effort to establish a back-channel line of communication" between Moscow and the White House. U.S., European, and Arab officials confirmed to the Post that the United Arab Emirates brokered the January 11 tête-à-tête between the unidentified Russian and Prince, brother of Trump's Secretary of Education Betsy DeVos who founded the private security firm Blackwater—which rose to infamy after the 2007 Nisour Square massacre of 17 Iraqi civilians. "Though the full agenda remains unclear, the UAE agreed to broker the meeting in part to explore whether Russia could be persuaded to curtail its relationship with Iran, including in Syria, a Trump administration objective that would be likely to require major concessions to Moscow on U.S. sanctions," reported Adam Entous, Greg Miller, Kevin Sieff, and Karen DeYoung. The talks reportedly took part in the Seychelles islands over the course of two days. Investigative reporter and Intercept founding editor Jeremy Scahill, who has long-documented Prince's career as well as his ties to the UAE, reported back in March 2016 that Prince was under federal investigation for money laundering and "attempting to broker military services to foreign governments." And less than a week after the alleged Seychelles meeting, Scahill also revealed that Prince—who "has a close relationship with Breitbart News and Steve Bannon"—had been advising the Trump transition team "from the shadows...on matters related to intelligence and defense." The White House has acknowledged that Michael T. Flynn, Trump's original national security adviser, and Trump adviser and son-in-law Jared Kushner met with the Russian ambassador to the United States, Sergey Kislyak, in late November or early December in New York. Responding to the report, White House press secretary Sean Spicer denied any awareness of the Seychelles meeting and said that Prince "had no role in the transition." Similarly, a Prince spokesperson called the story a "complete fabrication," saying that the encounter "had nothing to do with President Trump," adding: "Why is the so-called under-resourced intelligence community messing around with surveillance of American citizens when they should be hunting terrorists?" But, as the Post notes, at the time of the Seychelles meeting, the FBI was already investigating communications between Russian representatives and members of the Trump team, namely Flynn and Russian ambassador Kislyak. The Post story was published the same day that Trump and his supporters were up in arms over a report that former national security adviser Susan Rice had "unmasked" the names of some Trump associates who communicated with monitored foreign officials, an activity that was said to be "within the law." On Tuesday, Rice addressed the accusation that the Obama administration "utilized intelligence for political purposes," telling MSNBC's Andrea Mitchell, "That's absolutely false." The meeting was first reported by the Washington Post, which said that Prince met with an unnamed Russian emissary close to Vladimir Putin. The Post said the meeting was an effort to convince Russia to stop backing Iran. One U.S. intelligence official confirmed the Post's account to NBC News, saying the meeting was with a Russian envoy. According to intelligence reports filed at the time, no Trump transition people were directly involved and it is unclear if the meeting was undertaken on behalf of Trump's people or was a UAE initiative, the official said. A second source said he believed the meeting was not about Russia. That source, a former intelligence official with close ties to Prince and the UAE, said the subject of the meeting was Middle East policy, to cover Yemen, Syria, Iraq and Iran. A senior Trump administration official called the suggestion of a Trump-Putin back-channel "ridiculous." Asked about the matter, UAE Ambassador to the U.S. Yousef al Otaiba told NBC News, "No comment." Pressed on whether he could provide any context on any basis, he said, "Not on this one." White House Press Secretary Sean Spicer on Monday night added, "We are not aware of any meetings and Erik Prince had no role in the transition." The meeting took place around Jan. 11, The Post reported and NBC News sources confirmed — nine days before Trump's inauguration — in the Seychelles islands in the Indian Ocean. The Post said the UAE agreed to broker the meeting in part to explore whether Russia could be persuaded to curtail its relationship with Iran, including in Syria, a Trump administration objective that would likely require major concessions to Moscow on U.S. sanctions. Prince, who founded the Blackwater firm that became a private security provider for the U.S. government in Iraq, is the brother of Betsy DeVos, the education secretary in the Trump administration. He was seen in the Trump transition offices in New York in December. Prince contributed $250,000 last year to support the Trump campaign and pro-Trump super-PACs, according to the Post. A spokesperson for Prince said, "Erik had no role on the transition team, this is a complete fabrication. The meeting had nothing to do with President Trump. Why is the so called under resourced intelligence community, messing around with surveillance of American citizens when they should be hunting terrorists?" The UAE has been boosting its investments in the Seychelles, Comoros, and other Indian Ocean nations. The president of the Seychelles has a close relationship with the UAE, which is funding a new international airport there. The United States used to fly Predator drones out of the Seychelles but they were moved to other continental countries to bring them closer to targets. The U.S. and the Seychelles recently participated in a anti-piracy and counter-terrorism exercise called "Cutlass Express" early this year. 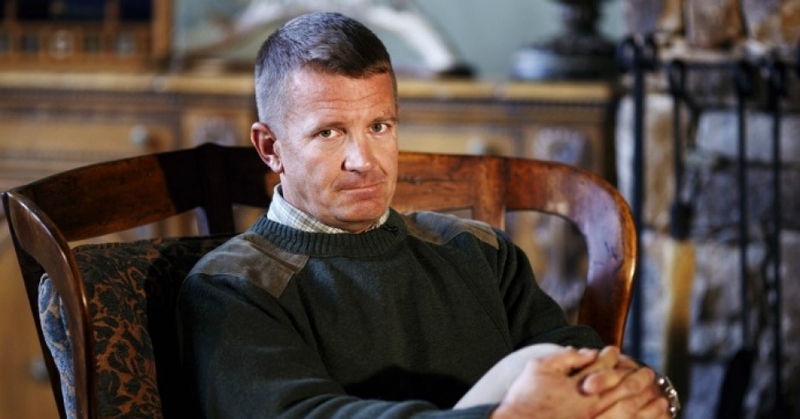 0 Response to "New Questions as 'Notorious Mercenary' Erik Prince Re-emerges in Trump Storyline"